Currently, many RPGs have exceptional gameplay that is likely to attract many people interested. Developers spend their time researching the successes of older games. That’s why Auer Media & Entertainment released the sequel to ‘Dawn Break -Origin’ called Dawn Break -Night Witch- with new storyline and control system. The magical kingdom is invaded by horrible monsters. They plot to take over this land and kill innocent creatures. The kingdom needs heroes to stand up for the cause. And you’ll be in the epic Dawn Break -Night Witch. 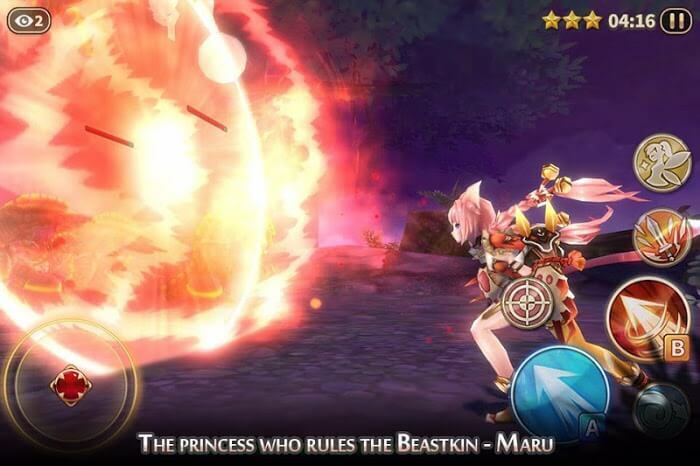 Dawn Break -Night Witch- is a multiplayer action RPG. 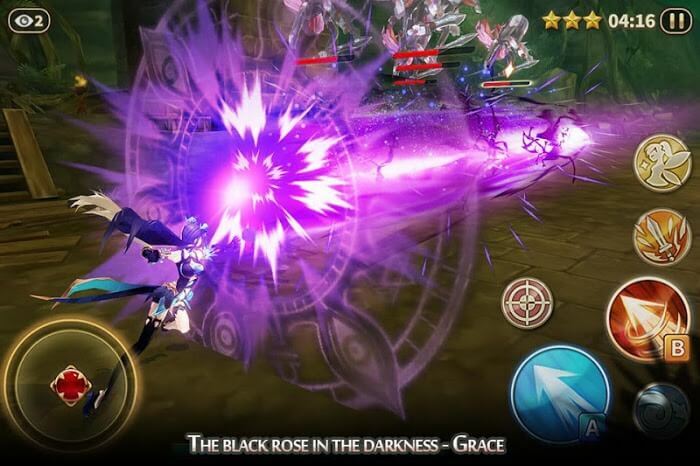 Dawn Break brings you the most colorful and exciting battles, thanks to the third view. The task of the player is to control the character to the place where the monsters are destroying and destroying them. 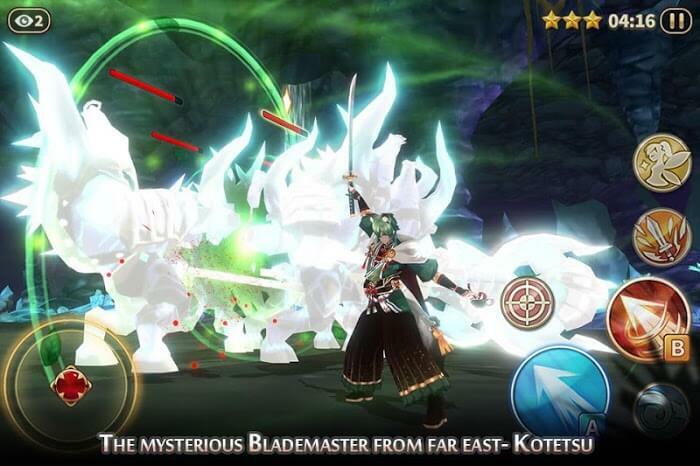 There are three heroes of different positions: Grace, Kotetsu, Maru. Each character has their own quality and stories. The game provides a new set of costumes and skills for each character. When winning certain stages, you will receive rewards to upgrade characters or earn more coins. You also save battle results when connected to other social networks. Dawn Break -Night Witch owns more than 100 levels from easy to hard waiting for players to conquer. The interface of the game will be controlled through the virtual keys, and the analog stick is set up. Play updates weekly rankings, take the opportunity to stand in the highest position of it. The Kingdom is peaceful, thanks to the way you apply your thinking and tactics in Dawn Break -Night Witch-. 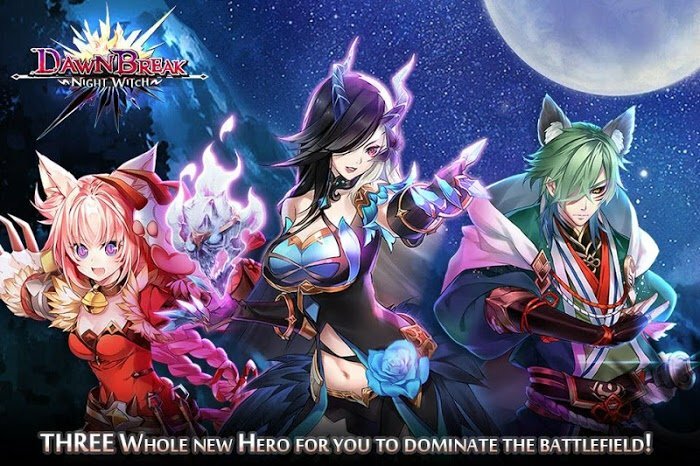 Dawn Break -Night Witch- own 3D graphics with beautiful Anime design. The characters are incredibly prominent with their eye-catching looks. Sound with the ultimate soundtrack. Also, the sound effects along the action are described very dramatically. The publisher of the game encourages users of high-definition equipment to enjoy the full blockbuster from Auer Media & Entertainment. Dawn Break -Night Witch- MOD is free to download and play, however, the game requires players to be 12 years old to download the game. The game is in the process of being completed so, please send feedback to Auer Media & Entertainment, they will make adjustments and upgrades to bring you an unforgettable experience. 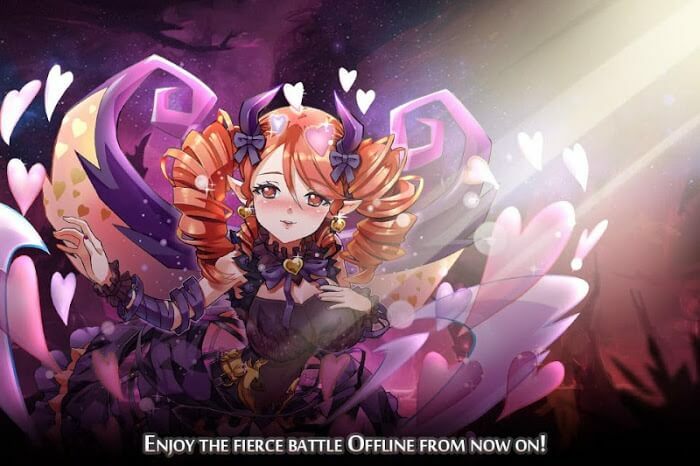 If you love Dawn Break -Night Witch, you install, and the millions of people around the world enjoy great relaxing time offline.